Special feature : Chounsai Tsunatoshi the First forged this katana at Edo in 1846. Born Kato Hachiro in Dewa province, present Yamagata pref. as the Third son of Izumi (No) Kami Kunihide in 1798, learned under Suishinshi Masahide. Kato Tsunahide, known as its excellent Toran-ba hamon was Tsunatoshi’s elder brother. Tsunehide moved to Osaka from Edo and learned under Suzuki Harukuni. After that Tsunahide went to Kyushu Island and forged sword at Kumamoto. Around 1823, he lived a house of the Uesugi family at Azabu in Edo. He passed away in 1863, aged 66.
the Suishinshi school in the sphere of Bizen-den. they made swords compete each others. So at Tenpo era, high rebel swords were made at Tenpo era. Tsunatoshi is also Tenpo uchi swords are higher than other era. 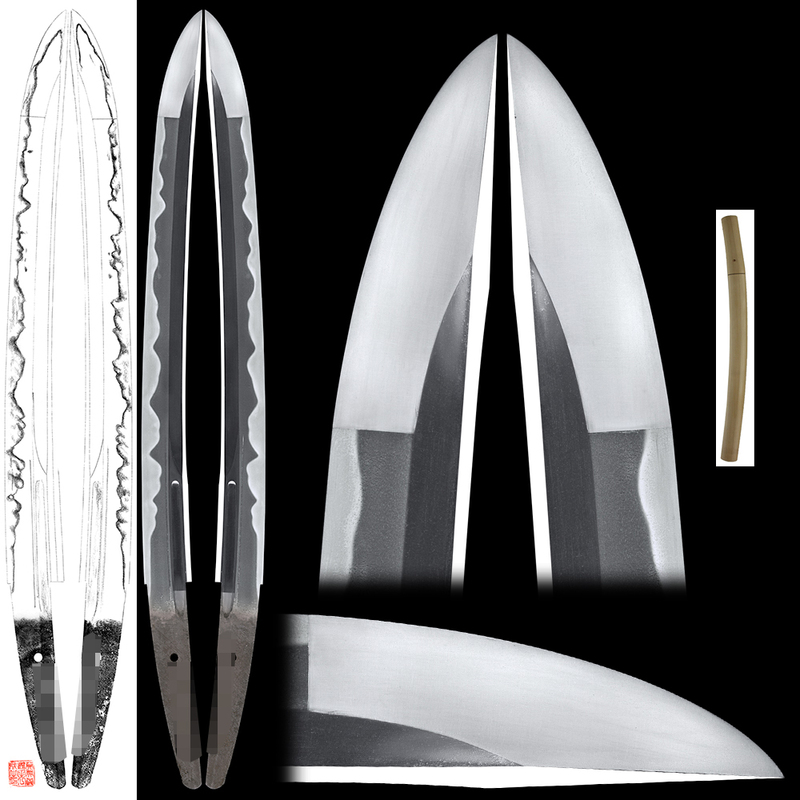 Blade length : 46.95 cm or 18.48 inches. Sori : 0.9 cm or 0.35 inches. Width at the hamachi : 3.71 cm or 1.46 inches. Width at the Kissaki : 2.99cm or 1.17 inches. 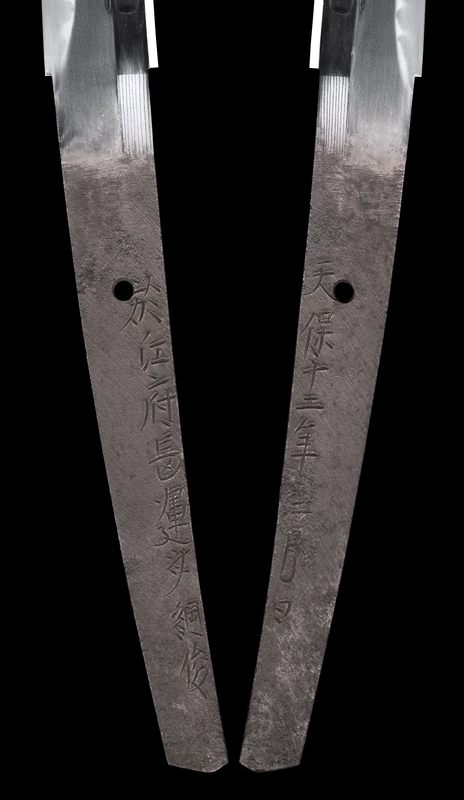 Kasane : 0.88 cm or 0.34 inches. Shape : Wide and thick Wakizashi. There are Bo-Hi, Koshi-Hi and Soe-Hi on both side. Jitetsu : Koitame hada well grained with jinie attached. There is fine chikei works. Hamon : Nie Deki, Gunome Midare with rather deep Nioiguchi.